It’s not Halloween yet, so I do not want to be a scary character. You know, a grim reaper who says, “BOO! Got you by the wallet.” See for yourself in this USPS news release how rates will go up in January, 2013. Here’s a bit of GOOD postal news, though. I wanted some specifics, and got a nice e-mail from the USPS website help desk. “I understand that you would like to know if your friend would benefit from a FOREVER stamp. I am more than happy to assist you! The Forever Stamp is a special Nondenominational stamp that is issued to save customers time and money, especially when First-Class Mail prices are changing. The Forever Stamp always represents a 1 ounce First-Class Mail price. Therefore, when a customer buys a Forever Stamp, they pay the current First-Class Mail 1 ounce price and it is always worth the First-Class Mail 1 ounce price no matter how many times the price of the stamp changes in the future. 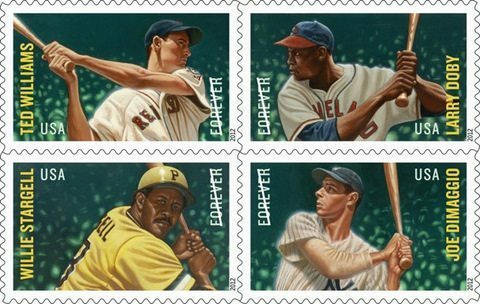 Once purchased, these stamps can be used indefinitely (hence the term Forever Stamp). 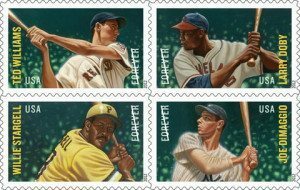 Forever Stamps are currently being sold for $0.45. You can use Forever Stamps for international mail, but since all international prices are higher than domestic prices, customers will need to attach additional postage. The value of the Forever Stamp is the domestic First-Class Mail letter price in effect on the day of use. Tom, I was more than happy to give you information on Forever Stamps. Please do not hesitate to contact us in the future should you have any more questions or concerns. Translated? Let’s look at the potential that my friend Kohei from Japan faces. Right now, his SASE needs $1.05 for international mail. Of course, slowpoke signers may not respond before Jan. 27. His choices? A) Use currently-available $1.05 stamp. Be prepared to pay the extra nickel owed the USPS if a reply is tardy. B) Up the stampage to $1.10 now. C) Use two FOREVER stamps with 15 cents postage. (Post Jan. 27 value would be 92 cents + 15 = $1.07.) If a signer responds in February or later, Kohei would owe three cents. D) Use three FOREVER stamps. Be covered for the next few increases? UPDATE: What’s the best choice? Check out the comments below. You’ll see my vote. What’s yours? Coming Wednesday: Remembering Dave May.